The talks are now all available on downloadable MP3’s and in the hard media of CD’s or DVD’s. Every purchase goes to the support of our community and its work. Next year’s conference dates are October 12-13, 2018. Please mark it in your calendar. Comment: Here, in the chronologically first of the Fatima prayers, we have acts of the three theological virtues, which have God Himself as their proper end. In addition, we have the act of adoration, an act of religion, which is the highest of all the moral virtues, since, it, too, had God (and not creatures) as its proper end. Therefore, we see that, from the start, the Fatima apparitions direct the children to God as their last end. In addition, in this prayer, we beg pardon for those who do not perform these obligatory acts toward God, presumably so that they might be converted and arrive at their end in God. Comment: In this prayer, the mystery of the Trinity and the Holy Eucharist are vividly affirmed. But the burden of the prayer is to make reparation for the offenses against the Son of God by the offering of that same Son in His Eucharistic form to the Father. This is the closest a layman can come to offering Mass. It is something only the baptized can do, by virtue of the priesthood of all believers: offer Jesus the Eucharistic Victim to the Holy Trinity in reparation for sin. 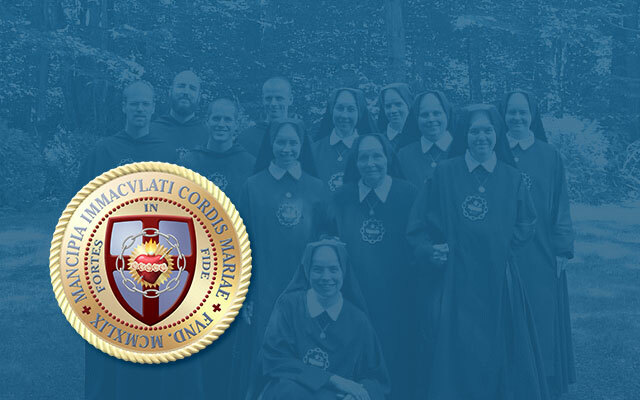 But beyond this offering, there is also the petition for the conversion of sinners, imploring the merits of the Sacred and Immaculate Hearts for that purpose. This prayer seeks the removal of the chief obstacle standing between us and Heaven: sin. It implores that sinners will convert, which literally means to be turned in the right direction so that they can pursue God as their last end. Comment: Here we have a much shorter form of offering adoration to God along with the highest of the theological virtues, charity. I take the opportunity to note here that, according to Saint Thomas, the virtue of religion (of which adoration is an act) is perfected by the Holy Ghost’s gift of piety. While religion disposes the creature to adore his Creator as his first cause and final end, the gift of piety inclines us to be loving children of our good Father who has supernaturally adopted us into His own Trinitarian life. For this reason, our worship becomes more perfect under the influence of the gift than when it is merely a grace-aided exercise of religion. I believe that the lives of the Fatima Children show us that their adoration was perfected by this gift of piety. Comment: In addition to removing the obstacle of sin, this prayer explicitly petitions that we achieve our end: Heaven and avoid its opposite, Hell, and it appeals in charity for those who are most spiritually impoverished. Comment: Here, we have a new theme introduced: begging reparation for sins committed against the Immaculate Heart of Mary. Why would we do that? That Heart is our Mediatrix. That Heart is supposed to lead us to God, our Last End, as the Blessed Virgin told Sister Lucy: “My Immaculate Heart will be your refuge, and the way that leads you to God.” All the sins against Mary’s maternal mediation are as many obstacles to men achieving their salvation, so they must be repaired for. Comment: In this prayer, we implore Mary, the Mediatrix of all grace, to save not only men, but nations, bringing human societies to be sanctified in such a way that those living in them may more easily save their souls. It is the task of Catholic Statecraft to establish a temporal order which presents more of a help and less of a hindrance to man’s achieving his eternal happiness. Comment: This prayer is the same as the other, but it adds the merits of Mary’s pure and Immaculate Conception. The new devotion associated with Fatima is that of the Five First Saturdays. This devotion, which has multiple historical antecedents in first Saturday devotions indulgenced by the Popes, including certain devotions which specifically prayed for the conversion of Russia, carries with it promises that are more generous than any papal indulgence. The poor reception of this message, which Sister Lucy did her part to promote, shows how very indifferent the world and even nominal Catholics are to the Fatima message and to their own salvation. But that Virgin, whom we ask to pray for us “now and at the hour of our death,” promises to assist us at that moment with all the graces we need to be saved. This is a promise that not even the holiest person on earth can otherwise hope for, since the grace of final perseverance is a gratuitous grace that it is impossible for even the holiest of us to merit. Those who are interested in saving souls ought not only to practice this devotion, but also to propagate it among others.